So many of you asked me how long it took me to get my first book together. So here’s a timeline. First of all I always loved to write and won a couple of short story competitions as a teen, but then I dropped it all for college and work. In 2010 I quit my well paying job because I could not take it anymore! So I started a part-time teaching job and a store on etsy (it was quite successful, but I don’t sell crafts anymore), dedicating the rest of my time to writing. 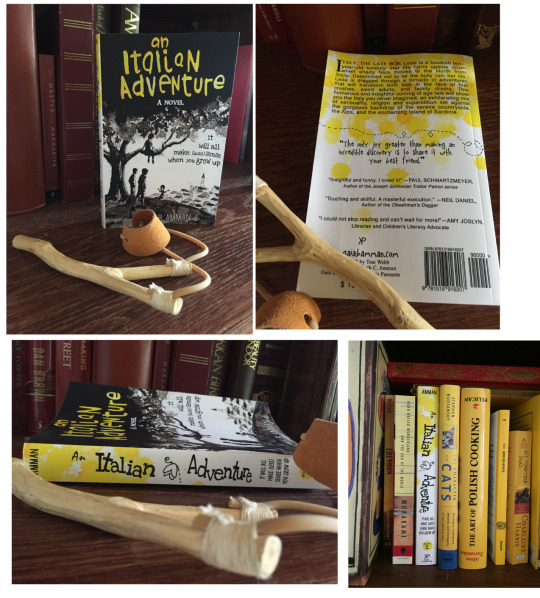 I wrote the first draft of An Italian Adventure in Italian (my first language), in the present tense. It was complete in 2011. It was called Magia e farfalle (Magic and butterflies) and it sucked. Oh, and…nobody could read it (I live in the US). o, I rewrote it in English. It still sucked. I rewrote it in the past tense, chopped, rearranged and rewrote. Meanwhile I got a tenure-track full time position which meant that in order to carve at least 20 hours of writing per week I had to write every evening and every weekend. And one day…around January of 2013 (3 years later), I finally liked it! So, did I just write a novel or was I delusional? The book was now 135,000 words. I shared it with my hubby and with another good friend (my mom doesn’t speak English) and started looking for a writers’ group, to get some peer advice. I started hacking at my novel again, removing parts that dragged, rewriting good ones to make them better, explaining what was obscure. In June 2014 I was done reading the entire novel to the group. They had very much liked it and the hefty bundle was now 30,000 words shorter (105,000). Meanwhile I had written book 2, 3 and part of 4, so MUCH FASTER than book one! I finally felt like I knew what I was doing! One of my writer friends with experience in the show biz (she’s a retired producer in NY who won several Emmys) told me book one was still way too long. While there is no rule set in stone, for a first time author seeking an agent a very long book was a red flag. I argued, but eventually slashed it to 90,000 removing some chapters I thought were not essential and rearranging the timeline. In my writer virgin state of mind, I sent some queries out to a bunch of agents. In a time span between one hour and twelve weeks I got a lot of rejection letters. Fortunately among them, I queried her Holiness, the Query Shark. In her magnanimous heart, she actually replied to me (most rejections are standard forms) saying the story held promise but she thought I was pitching to the wrong agents. My story, she said, sounded like young adult, not contemporary fiction. I looked it up. 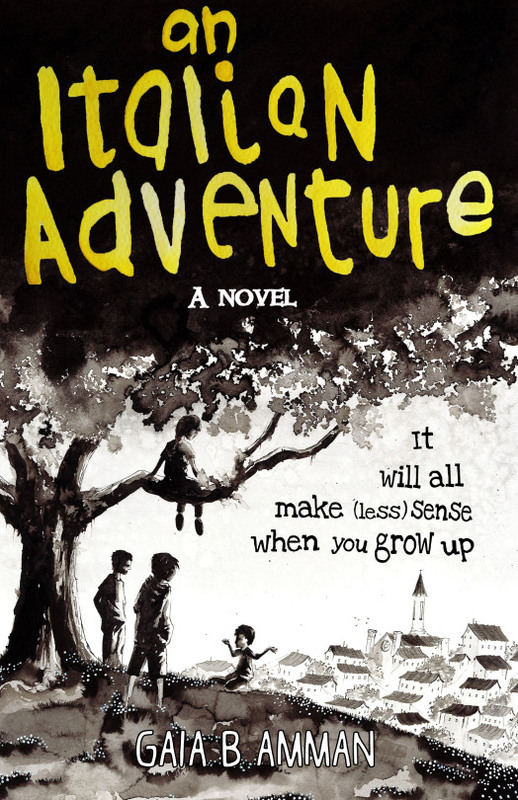 My book was the definition of young adult. All my favorite books were young adult. Shame on me! I had made a fool of myself in front of all those agents proving to them (and me) that I hadn’t done enough research. I had committed the rookie mistake number one, four years into working on the darn book I thought I MUST be ready to send it out and queried too soon. So I did more research. Lots of it. It turns out that for first time authors independent publishing might be a much better option, even more so if you are working on a series, even more so if your book is quite different from the mainstream in some way (mine is). Ha! In the spring of 2015 I finished the fourth book and I started blogging about my writing experience. Things went nuts. In three months I gained 3,000 followers on twitter, 1,600 on tumblr and hundreds of daily visits to my main blog. This gave me confidence. Meanwhile, believe it or not, I had gone through book one 3-4 times more. A bunch of writers and friends had read it and liked it. It was now down to 70,000 words and I felt like I could add back some of the chapters I had removed but kept thinking about. Guess what? My style had changed so much since then that I had to rewrite them entirely. Finally I felt like the book was REALLY DONE, even though my friends did not believe me. But I was. I started recording the audiobook in July 2015, like some of you know. This turned out to be amazing for proofing. There’s nothing like reading your book out loud and then having to re-listen to it for finding typos. Also, at the beginning of July 2015 I found the perfect artist to illustrate my covers! At the end of August 2015 the audiobook was complete and edited and the cover was done! I cried. My hubby cried. The book was real, and it looked GORGEOUS. So, how long does it take to write a book? As long as you need. If you are a writer, you’re not going to give up no matter what. Book one took me 5 years from inception to completion, but book 2, 3 and 4 will all be released in 2016 and took maybe 4-6 months to complete (some longer than other). My word of advice to you is to to keep writing. Very few people in the world can just sit at a piano and play, or pick up a brush and paint. Writing is no different. The Well of Souls (1st book) is going through its 4th rewrite. Still not happy with it. I keep learning new techniques and have to change it. I read my old stuff now and can't believe the change.